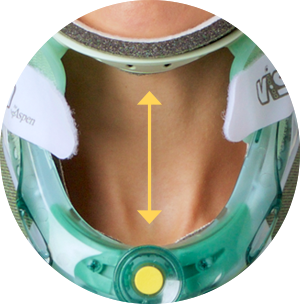 The Vista® TX Collar from Aspen encompasses all of the features and benefits of the already-popular Vista Cervical Collar and adds a thoracic extension. With its innovative height adjustment technology, the Vista TX is really six collars in one. The correct size is always at hand, reducing storage and inventory costs and saving time while improving patient care. 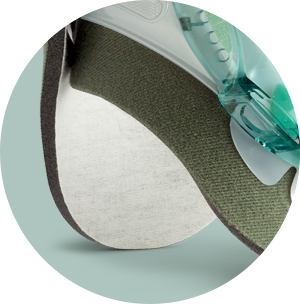 Encompassing all of the features and benefits of the popular Vista Cervical Collar, The Vista TX also features a detachable thoracic extension for added coverage in the thoracic region. 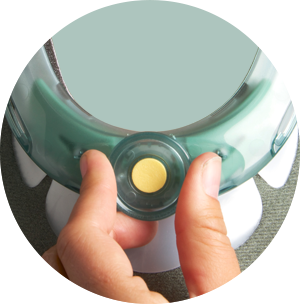 Provides functional access for airway management and other essential procedures. Simply pull and turn the Height Adjustment Dial to select one of six Vista TX height settings. Cotton-lined Aspen pads wick moisture from patient’s skin while clickable polyurethane foam assures optimal pressure distribution. By incorporating six sizes in one collar, the Vista TX Collar eliminates the cost of storing multiple sizes, frees up valuable inventory space, and eliminates SKUs. 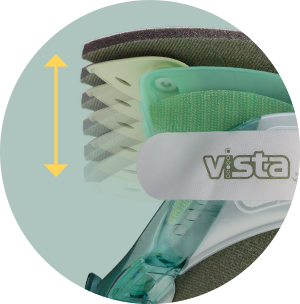 The Vista TX Collar helps reduce the waste associated with sizing errors and eliminates the need to change collars due to sizing as patients become ambulatory. Where can replacement pads be purchased? Replacement pads may be available from the facility you received the collar from, or you may order more online at aspenmp.com, by calling 800-295-2776 or emailing orders@aspenmp.com. What is the difference between the Vista Collar and the Vista TX? The Vista Collar and the Vista TX are both six sizes in one collar and are fit the same way. The Vista TX includes a thoracic extension for additional coverage.